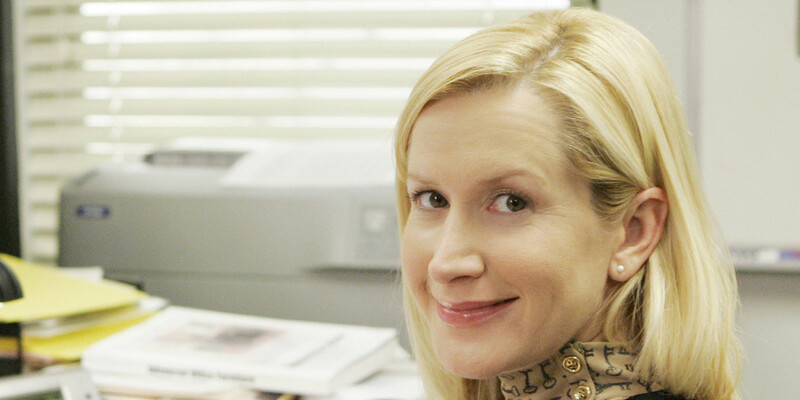 T he Office's Angela Martin and actress Angela Kinsey share a first name, but that's about all the two have in common. Kinsey, a bright and sunny star whose friendliness is only rivaled by her enthusiasm, has a polar opposite disposition to the strict and sassy accountant. Martin, who we finally watched marry Rainn Wilson's Dwight Schrute in the series finale, served as resident disciplinarian at Dunder Mifflin. For fans, it seemed just as the show was ending, her story was just beginning. Since the hit NBC mockumentary ended in 2013, Kinsey has been busy. 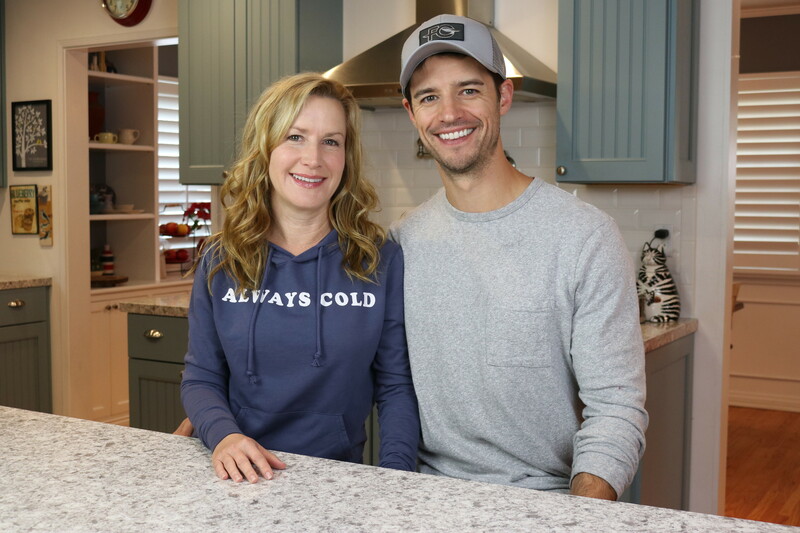 She's appeared on multiple TV series like Netflix's Haters Back Off, tied the knot with Days of Our Lives actor, Joshua Snyder, and started a baking show on YouTube. Zimbio spoke with Kinsey and Snyder over the phone on Tuesday, Jan. 16 about past, present, and potential projects — The Office revival, anyone? Zimbio: Tell me about Baking With Josh & Ange! How did this YouTube series come about? 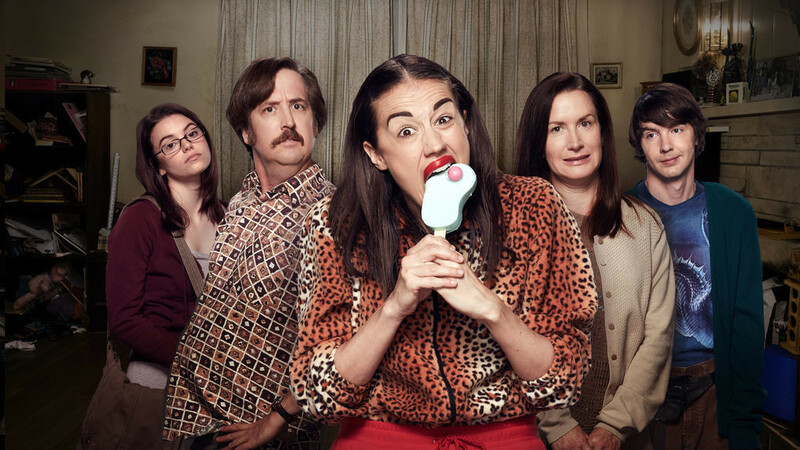 Angela: I was working on a Netflix show called Haters Back Off, which is based on Colleen Ballinger's Miranda Sings character. We were on set and Josh came to visit, and he'd made cookies. Colleen [Ballinger, YouTuber and series creator] was like, "Wait, he made those cookies?" I was like, "I know! He's so good." She spent some time with us and she was like, "You guys should really do this, baking shows are so popular." We bake all the time, and we were looking for a creative outlet to have together, so Colleen inspired us. She lit the spark there. Josh: There's so much baking to do for all of the kids with the school functions, and it was always a way that I could contribute. Angela: There are three different classrooms. We have three kids, and he made all the Christmas cookies. I said, "Well, do you want to try this?" and we sort of just did it on a laugh. That's kind of how it started and we ended up having a lot of fun with it. Z: I love it. How did you two meet? Angela: We actually met through our kids! Our kids had known each other at preschool, but we weren't really on each other's radar that much. Then a year or so later, Josh became my neighbor. I ran into him at the grocery store. So we became neighbor friends. I cat-sat for him a few times, and he checked in on my dogs. So crazy, he's the one with the cats. It was such a slow courtship because we were friends for so long. Z: That's so sweet! They'll always know that they're what brought you together. Angela: Oh yeah. They love it, too. Z: You had some pretty exciting special guests recently, Jenna Fischer and Rainn Wilson. Can we expect any more special guests in the future? Angela: Yes! I actually have reached out to [The Office's] accounting department. We're coordinating a few moving parts there, but we're hoping to get them on. We also have some really cool collaborations coming up with some great baking YouTubers. Z: Angela, you just finished Haters Back Off. 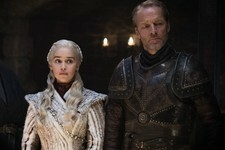 How do you feel about the way you left the show? Angela: I'm bummed. I really had some fun ideas for my character, Bethany, in Season 3. I didn't feel like her story was done. It just came out in Season 2 that Uncle Jim and Bethany were now an item, which is hilarious to me, and Colleen had some really funny ideas about their courtship for Season 3. So I'm sad because I felt like we still had more story to tell. 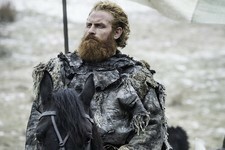 I loved this character so much. I kept telling Colleen, "Write a movie!" I hope it's not gone forever. I told her I would always be there to play Bethany for her. Z: How was it working with Colleen Ballinger and Netflix? Angela: I loved it. Netflix was amazing. They're so giving to their creators and actors. I felt like it was a real creative collaboration. I always felt like their presence on set was helpful and encouraging. I can't say enough nice things about the folks over at Netflix. And Colleen is just amazing. She's younger than me, but when I grow up I want to be Colleen. She is so smart and talented and professional and such a hard worker. I mean, the girl works so hard. She was truly an inspiration for me as far as a woman in the work place. Z: I have to ask the question that's on everyone's minds. What's up with The Office revival? What are your thoughts, and are you excited? Angela: I can tell you that no one has been approached yet. No one has been told anything. Basically, we all read it online just like everyone else. But we're all excited about it. The people I've talked to, anyway, would be excited. We loved that world, and it was an amazing, awesome, talented group to be a part of. Z: Would you take part in the revival if you could? Angela: I know a handful of us would like to revisit it, but only if it was done correctly. I loved the way it wrapped up so beautifully. I do think there's a smart and funny way to have a sneak peek back into Dunder Mifflin and the world, it would just have to be done really smartly. I think the only person that could do that is [The Office writer/producer] Greg Daniels. If he had an idea on how to bring this group back together, I am totally in. Z: Absolutely! 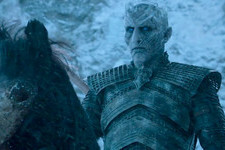 There was such closure at the end of the series. It felt complete. It would be great to have a revival, but in what form? Angela: Exactly. I don't know how they would do it, and the only person I think could come up with a really cool way back in would be Greg Daniels. And then you have to look at everybody's lives and different career moves and some people would be able to come back and some wouldn't. But if I could, I'd be there. I love the character of Angela Martin — or Angela Martin-Schrute now. I would love to see where she and Dwight are in their lives. So I would say, sign me up. Z: What would the character of Angela be up to in a revival? She'd just married Dwight, and had baby Phillip the last time we saw her. Angela: I think she'd be a super judge-y mom. She'd probably have some mom blog. 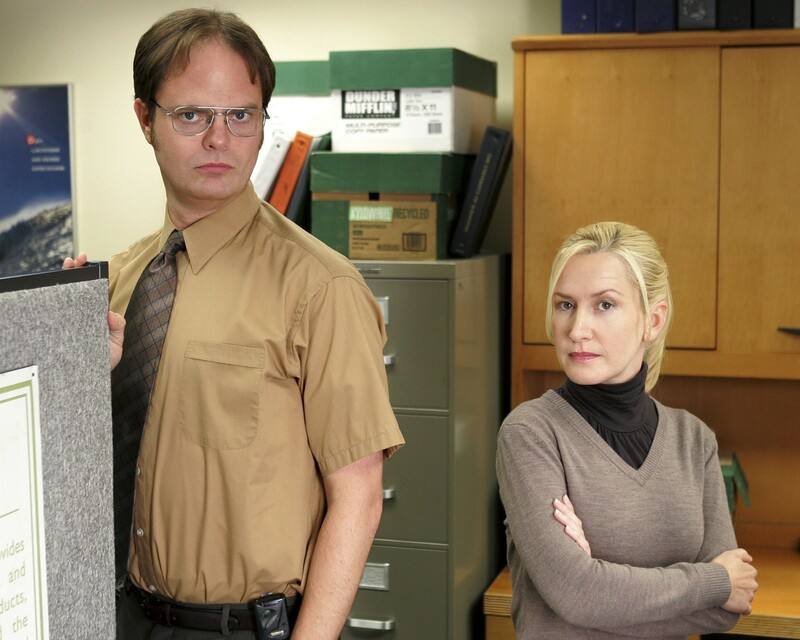 She and Dwight are creatures of habit and structure, so I feel like the two of them would be a power duo within the Dunder Mifflin community, I think. They're just looking for their clipboard and their list and someone to control in some ridiculous form. Z: You have a couple of new projects coming up this year, like your new movie, Half Magic. Tell me about that. Angela: Yes, I'm excited about it. Heather Graham wrote and directed it, and Stephanie Beatrice [Brooklyn Nine Nine] is in it, and Molly Shannon — just some really amazing, great actors are in it. It's a comedy about three women starting over. They're all in horrible relationships and they meet each other at this self-help seminar. It cracks me up, so I'm excited for people to see it. It's kind of a raunchy chick flick. It's a movie about women helping women. Watch Angela Kinsey in Half Magic in select theaters and on demand toward the end of February. Also look out for Gemma Stafford (of YouTube's Gemma's Bigger Bolder Baking) on Baking With Josh and Ange soon.